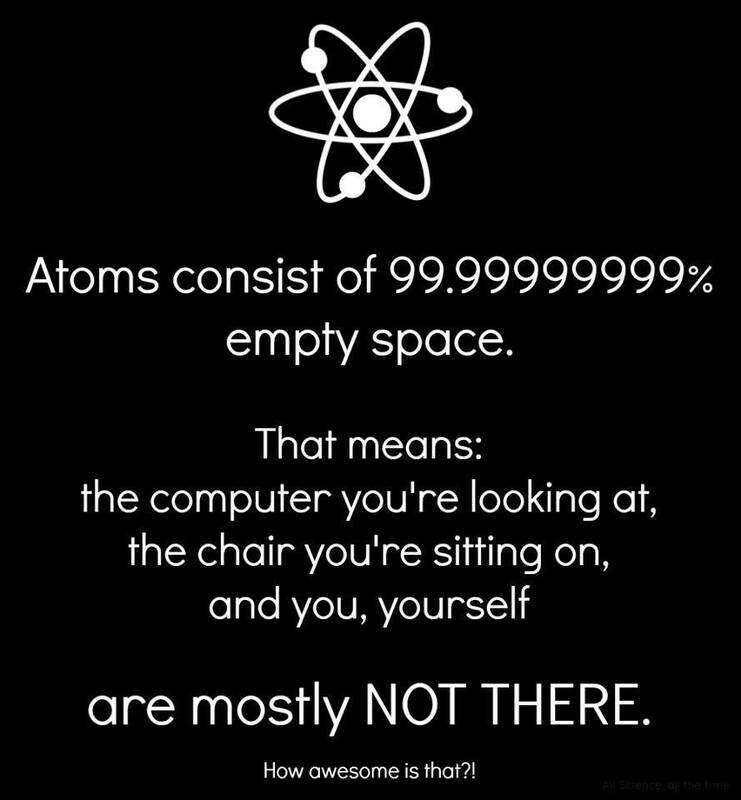 Thank you for pointing out that the atom is not really mostly empty space. I appreciate your article on the subject at http://sciencequestionswithchris.wordpress.com/2013/01/12/why-dont-atoms-collapse-if-they-are-mostly-empty-space/. That’s cool. What was cool was when I proved that my conscious mind is 96% of the universe. Now that was cool.